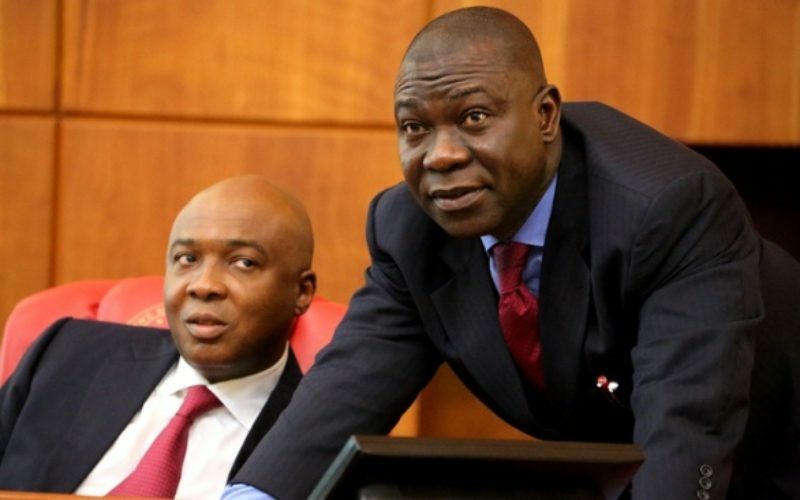 The Nigerian Senate seems to be temporarily shut down as Policemen have reportedly besieged the residence of the Senate leadership. According to Punch, Security operatives besieged the Maitama, Abuja residence of the Senate President, Bukola Saraki as early as 7 am and blocked his convoy as he was set to honor the police invitation at the force headquarters. Also, a combined team of Police, DSS, and EFCC also stormed the Apo Legislative Quarters of the Deputy Senate President, Ike Ekweremadu, who is expected to preside at the Senate in the absence of Saraki. The Special Adviser to the deputy senate president, Uche Anichukwu, confirmed the development. “The implication of both actions is that the Senate will not sit today if the two presiding officers were not still deprived of their freedom of movement or arrested before plenary which starts at 9am.